We’re giving away $10,000 to benefit iconic hiking trails around the U.S. Vote for your favorite trail, and you too could win big! Maybe you think one is the most beautiful, or one is the most physically challenging. For any reason you like, we want to learn which hiking trail is your favorite. Vote here. 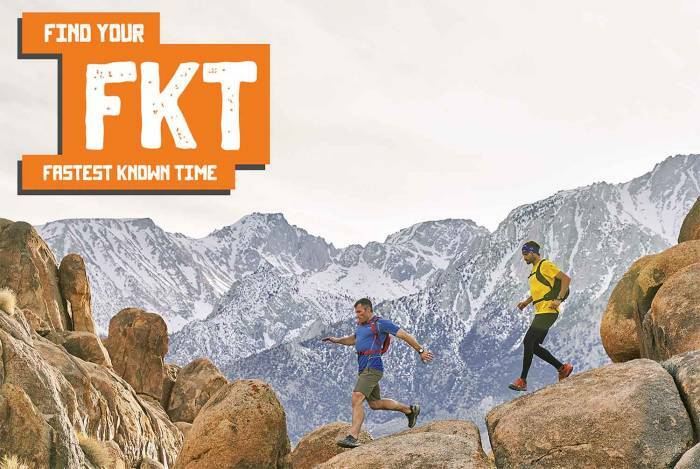 GearJunkie and Merrell will award $5,000 to the top vote-getter and distribute the remaining $5,000 to the other eight trails’ supporting organizations. But this isn’t just a contest for the trails – you can win, too! Enter your email (up to once per day) for a shot at the grand prize: a weekend hiking getaway for you, a friend, and a Merrell ambassador or guide at any one of the contest’s nine iconic trails – all expenses paid! We’re also handing out 12 pairs of Merrell MQM Flex shoes. Bonus: Upload a photo from the trail and receive an extra entry! So get out there, hike, and upload a photo from the trail to our microsite here. You can vote and upload a photo once per day to increase your odds of winning. –This article is sponsored by Merrell. Enter the Find Your FKT contest here and see all details on the MQM FLEX line at Merrell. previous:How Long Do Hiking Boots Last?